The Yarra Junior Football League is thrilled to have a number of the leagues former juniors selected in the 2018 National and Rookie Draft. It was also great to see a range of players from different junior football experiences. A number of the players drafted never played representative football or won a league best and fairest. This is a great inspiration for those who may not play representative football, that it doesn’t mean you can’t make it to the top level. Our first draftee for 2018 was Isaac Quaynor who played his junior football with Beverley Hills as well as Templestowe and Bulleen Templestowe. Isaac was selected at pick 13 by Collingwood and was part of their Next Generation Academy. In 2015 Issac represented YJFL in the Junior Metro Championships in the Under 15 2’s team in which this team won the Championship. He also was equal third in the League Best and Fairest that year in the Under 15 (3) Division. In 2016 he was part of the Colts (2) premiership team at Beverley Hills. In 2018 Isaac played his footy at Oakleigh Chargers as well as representing Vic Metro and being name in the Under-18 All-Australian side. Our next pick was at 25 with James Rowbottom being selected by the Sydney Swans. James played at Camberwell Sharks and along with Isaac Quaynor was part of the Under 15 2’s YJFL Metro Junior Championship Premiership side. James played at Oakleigh Chargers and was a strong and consistent performer for Vic Metro in the AFL Under-18 Championships. At pick number 29 Collingwood selected Will Kelly from Glen Iris. Will was selected a father-son selection as he is the son of Collingwood premiership player Craig Kelly. After playing over 100 games at Glen Iris, Will went on to play at Oakleigh Chargers and grew in confidence playing for Vic Metro. Former Macleod and Banyule junior Justin McInerney was selected by the Sydney Swans at pick 44. Justin was part of the YJFL 2017 Colts Team of the Year. After playing Colts 1 in 2017, Justin played for Northern Knights in 2018. At pick number 70 Ben Silvagni was selected as father-son selection by Carlton. Ben played with Greythorn and Kew Comets in the YJFL as well as representing YJFL in the 2014 Under 14 1’s at the Metro Junior Championships. Ben was a successful junior finishing 2nd in the 2012 Under 12 Green League Best and Fairest. He was also involved in two premierships in 2011 (Under 11 Blue) at Greythorn and 2015 (Under 15 Division 1) at Kew Comets. In 2018 Ben played his football at Oakleigh Chargers as well as representing Vic Metro at the Under 18 Championships. Our last former player selected in the National Draft was former Boroondara Hawks player Atu Bosenavulagi, who was selected by Collingwood at pick 77. Atu was part of Boroondara Hawks Colts 1 premiership in 2017. Atu was another Collingwood Next Generation Academy player as well as being part of Oakleigh Chargers. YJFL was very lucky to have a further two former players selected in the 2018 Rookie Draft. At pick number 10 in the Rookie Draft North Melbourne selected Tom Mckenzie. Tom played over 100 junior games with Fitzroy. In 2017 and 2018 Tom was playing at Northern Knights and in 2018 also represented Vic Metro in the AFL Under 18 Championships. At the 2018 Draft Combine, Tom recorded the fastest 20m sprint time. Lastly Will Gold former Balwyn and Kew Rovers junior was selected by Hawthorn at pick number 30. Will was lucky enough to win three league awards including: 2010 Third Best and Fairest (Under 11 Blue), 2013 Third Best and Fairest (Under 13 Green) & 2014 Runner Up Best and Fairest (Under 14 Brown). 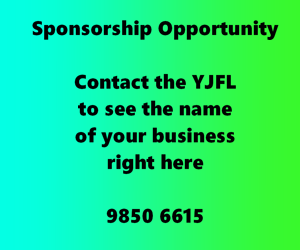 Will also represented YJFL in the Metro Junior Championships in the 2014 Under 14 Division 1 team (alongside Ben Silvagni) and the 2015 Under 15 Division 1 team. Will overcame a ACL injury in 2017 to prove himself in 2018 playing for Oakleigh Chargers. 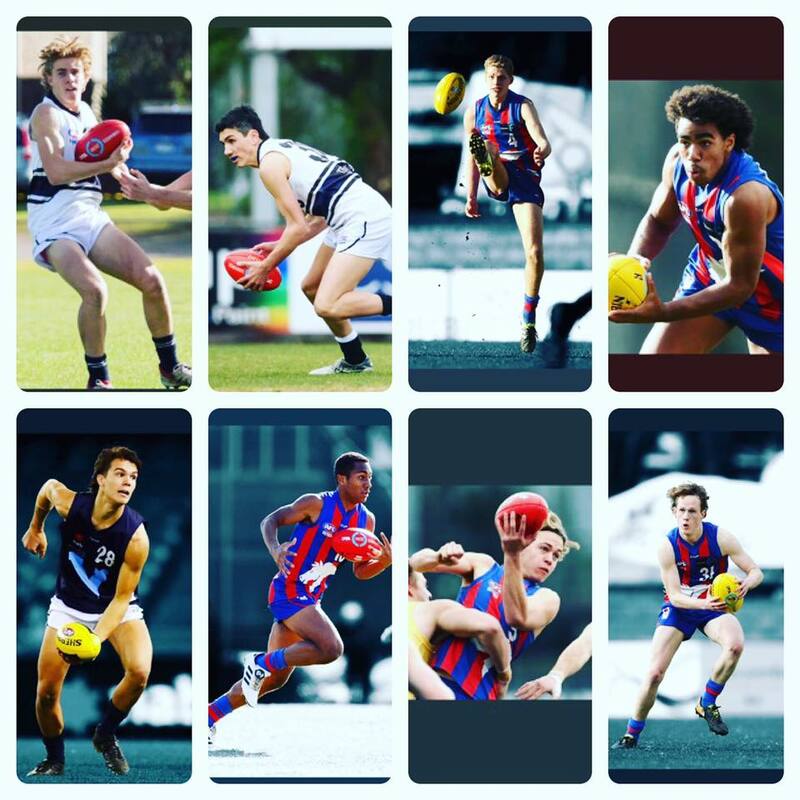 The Yarra Junior Football League would like to congratulate all eight players on their fantastic achievement and best of luck at their new AFL club. For all those that didn’t get drafted this year we wish you all the best in your football journey for 2019 and beyond.